Other colours are available please choose from the drop down menu. 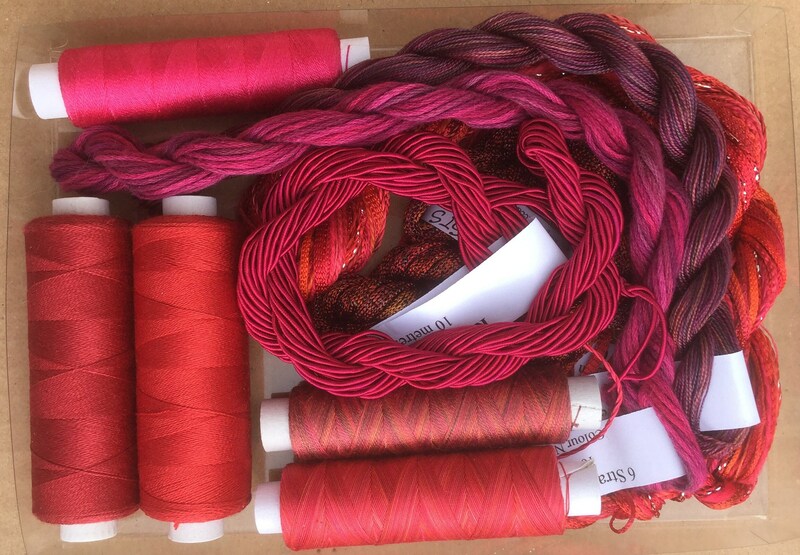 A collection of Hand and Machine Threads for the discerning embroiderer. The photograph is representational only, but we will always choose a wonderful selection for you from our comprehensive range of hand and machine threads. If you would like the selection in the photograph, please mention this when ordering and we will do our best to oblige. Threads will be presented in a polypropylene box. Contents included will always be valued at £30 plus.